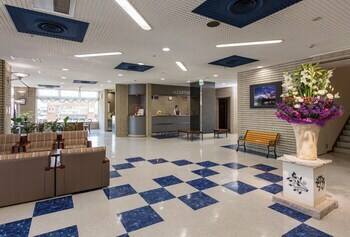 Located in Tokai, Tokai City Hotel is within a 5-minute drive of Oike Park and Port of Nagoya. Featured amenities include complimentary wired Internet access, complimentary newspapers in the lobby, and a 24-hour front desk. Free self parking is available onsite. With a stay at Zekkei no Yado Inubohsaki hotel in Choshi, you'll be within a 5-minute walk of Cape Inubozaki and Inubosaki Marine Park. Free self parking is available onsite.